Chairman of the National Peace Committee, General Abdulsalami Abubakar (rtd. ), and the Catholic Bishop of Sokoto Diocese, Revd. Matthew Kukah, yesterday reported the discontent of the Peoples Democratic Party (PDP) presidential candidate, Atiku Abubakar, over last Saturday’s presidential poll to President Muhammadu Buhari in the State House. This is coming on the heels of the declaration by the National Chairman of the PDP, Uche Secondus, that nobody can stop his party from approaching the court to reclaim its ‘stolen’ mandate. 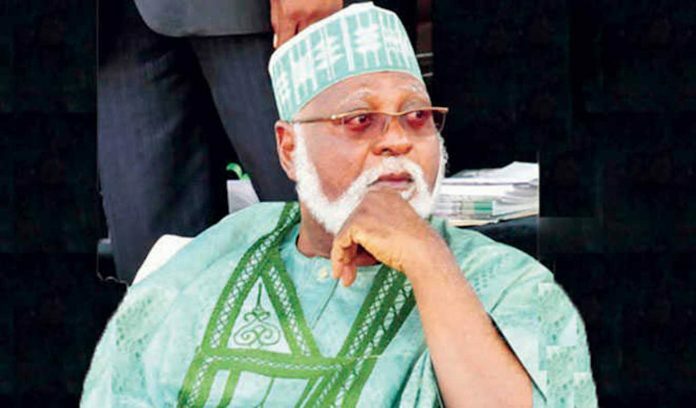 Abdulsalami, who led other members of the committee including Cardinal John Onaiyekan to a closed-door meeting with the president over the outcome of the February 23 presidential election, told journalists after the meeting that they tabled Atiku’s grouse over the election before the president. 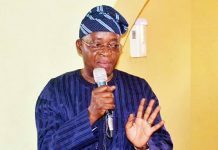 However, the former head of state who said the president listened to them and simultaneously noted the grievances of Atiku as presented to him, added that the former vice-president’s decision to challenge the declaration of Buhari as the winner of the election in court was the right way to go. 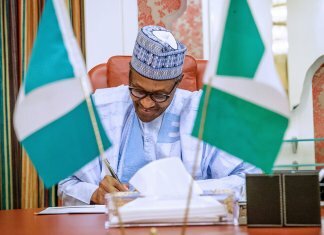 The Chairman of the Independent National Electoral Commission (INEC), Prof. Mahmood Yakubu, had on February 27, declared Buhari as the winner of the February 23 presidential election. According to Yakubu, Buhari polled a total of 15,191,847 to defeat Atiku whom he said scored 11,262,978 in the election. But Atiku rejected the output of the election, describing it as a sham and the worst election in the country in recent times. Consequently, on Thursday, the committee had met with Atiku, his running mate, Peter Obi, National Chairman of the PDP, Uche Secondus, the Senate President, Dr. Bukola Saraki and the Speaker of the House of Representatives, Hon. Yakubu Dogara. 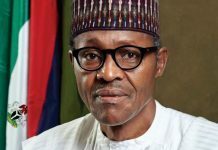 At yesterday’s meeting with Buhari, which lasted for an hour, and also attended by the National Chairman of the All Progressives Congress (APC), Adams Oshiomhole, Abdusalami said the committee discussed the complaints and observations of Atiku over the election with Buhari with a view to robbing minds on what could be done. Disclosing that the quest of the committee is national peace, Abdusalami appealed to Nigerians to allow peace to prevail in the country, pointing out that whenever violence breaks out in the country, the masses are usually the victims. He added, “Yesterday, l met the PDP Presidential candidate and his party in other to ensure peace that this committee is really after. Our concern is about Nigeria. And in other to listen to their grievances and what they think has gone wrong and we are here today to see His Excellency, the President in other to relay the fears and concerns of the PDP, and Mr. President listened to us and has taken note of what we have told him. 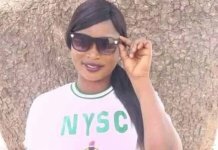 “Well, Nigerians should please on behalf of this country and all of us, regardless, know that we need peace. This country is very, very important to all of us. We are not talking about self-interest; we are talking about the interest of the country. “I keep saying, whenever there is violence, we are not going to see violence in Ikoyi, in the Villa and you will not find violence in the various government houses in this country. It is always the poor men that get to kill themselves and so on. 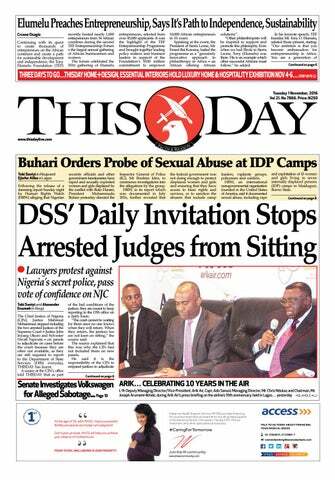 Meanwhile, the PDP has vowed that nobody would stop the party from approaching the court to reclaim its ‘stolen’ mandate. Secondus, while addressing a press conference yesterday in Abuja tagged, “APC Body Bag Election” in continuation of its update on last Saturday’s presidential election, said that the party has enough evidence to approach the court. According to him, “When All Progressives Congress, APC, leaders were threatening foreign election monitors with returning to their country on body bags, we didn’t know that they had designed the same thing for Nigerians. 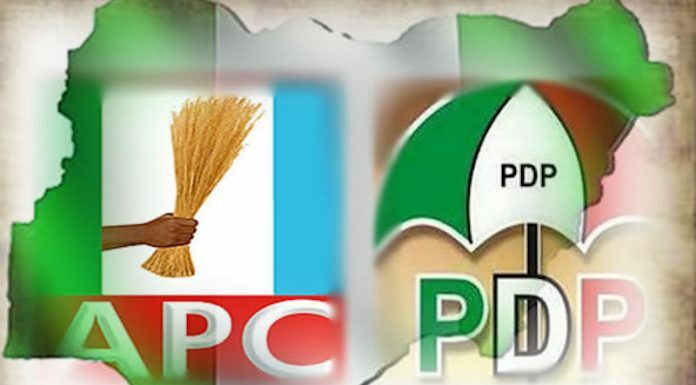 Secondus noted that as part of their strategy to ensure that PDP is distracted from pursuing its stolen mandate, Buhari’s regime has decided to intensify their intimidation and strangulation of the opposition. He noted that some prominent members of the opposition have been put on surveillance and their names listed to be stopped from traveling out of the country.